The MacBook Air’s tenth anniversary was January 16, and in honor of its birthday, we’re taking a look back at the most important, trend-setting features of the original MacBook Air. Whether you had one or not, laptops were different after the MacBook Air, and its effect can easily still be seen in laptops today. Also, take a look at the video above for a look back at our original review. Yes, we know — ten years is a long time okay? Here are five trends in laptops that the MacBook Air killed for good. The original MacBook Air was one of the first high-profile premium laptops to hit the market without an optical disc drive. Sure there was an attachment you could buy — and you could always use Apple’s remote disk feature — but excluding the optical drive was important for a couple reasons. 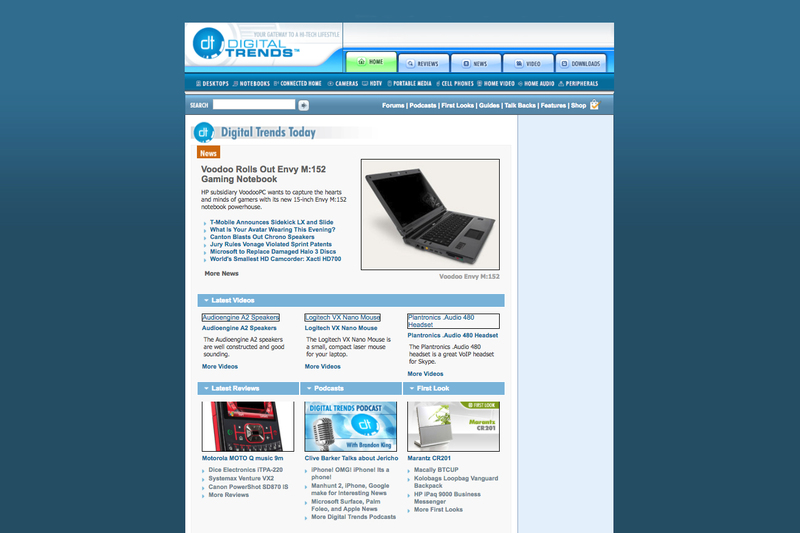 Not only is it extremely rare to find a laptop with an optical drive these days, it signaled to other manufacturers at the time that people would actually buy a laptop without an optical drive. With more software available online and iTunes shaking up the music industry, the MacBook Air was a marker that we were on the way to leaving behind optical drives for good. Remember back when you could just pop your laptop’s battery out and slot in a new one when you were running low? Yeah, we can barely remember those days either. It’s been so long since user-removable batteries were a standard feature that they seem almost quaint now. The MacBook Air was one of the first high-profile laptops to omit a user replaceable battery and at the time it was a very controversial decision, as noted in our original review. 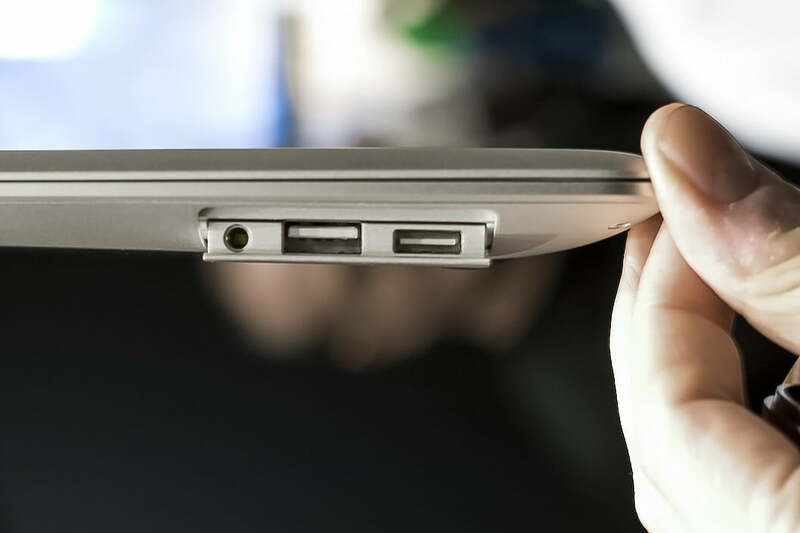 If you’re wondering if the risk paid off, just check to see if the laptop you own today has a removable battery. Apple has long been engaged in a war against superfluous ports, and the original MacBook Air was no exception. Without an SD Card slot, and with its single USB port hidden under a bizarre metal flap, the MacBook Air tried to cut out the unnecessary clutter which dominated laptops at the time. It didn’t quite work out. Apple eventually backpedaled and included an SD Card slot on the MacBook Air — and did away with the flap. Even still, the amount of ports we have on laptops today has been drastically reduced. For good or for bad, we have the MacBook Air to thank. Of course thick laptops are still around, but the overwhelming majority of them are thin, light, and wedge-shaped. That wedge design pioneered by the MacBook Air still lives on in laptops like the Dell XPS 13. It’s easy to see why. By shaving down the form factor in the right areas, manufacturers have managed to give their laptops the appearance of a svelte build without sacrificing performance or cooling capabilities. 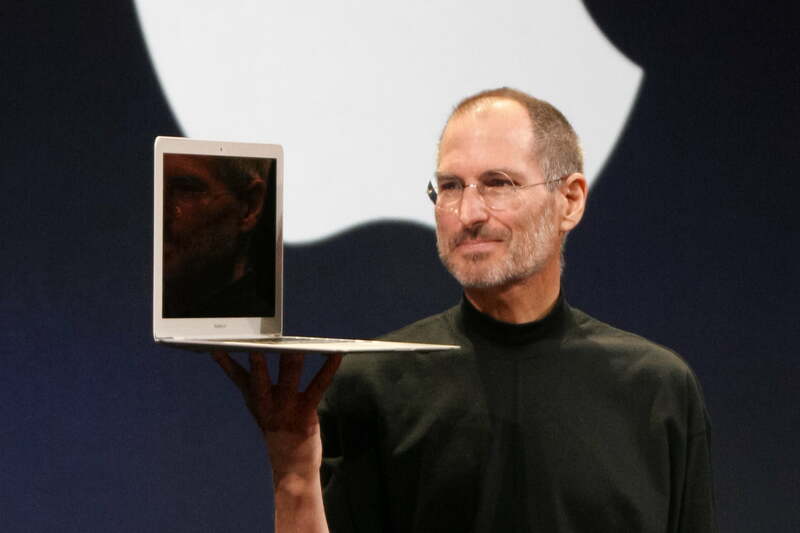 Laptops have only continued to get thinner and lighter — and the MacBook Air really started that trend. Take another look at the Dell XPS 13, the archetypal modern laptop. It’s got a wedge shape, a nice thin build, some premium materials, and one under-appreciated feature brought to us by Apple. The hinge that mounts the MacBook Air’s display to its chassis is located on the back-edge of its body, rather than on top. This means the lid won’t open enough to lay flat, but it means you don’t have those unsightly plastic hinges taking up unnecessary real estate. Sure, they’re still around in some laptops, but the overwhelming majority of laptops today feature the integrated hinge pioneered by Apple and popularized by the MacBook Air.